Roger Fenton was a lawyer who, after an unsuccessful attempt at becoming a painter, took up photography by the summer of 1852. 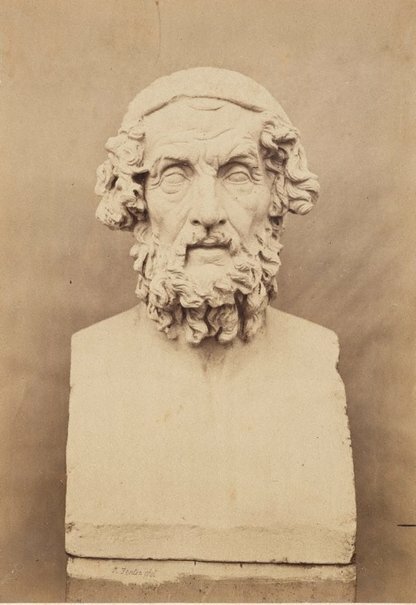 One of the founders of the Photographic Society, Fenton went on to become one of the most well-known photographers in the 19th century in spite of the fact that his career lasted little more than 11 years. In 1862 he sold his photographic equipment and returned to law. Fenton gave a paper to members of the Society of Art in London in December 1852 and argued that photography had not yet fulfilled its potential as fine art and that there was room for the technology to evolve further. From this point on he began to play an active role in facilitating further developments, including his involvement in getting William Henry Fox Talbot to relax his patents so that more photographers could experiment with the medium. Inspired by the approach of French photographers including Gustave Le Gray, Fenton promoted himself as a professional artist who could garner commercial income without sacrificing artistic vision. He combined a commitment to the picturesque with an ambition to produce works of historical significance. The breadth of Fenton’s subject matter reflects his noble intentions, ranging from English landscapes, portraits and still-life to the documentation of a suspension bridge in Kiev and later the Crimean war when he served as the British campaign’s official photographer in 1854. This work dates from the period when he worked at the British Museum from 1853–59 and was commissioned to photograph their collection. It was an unprecedented task as photography was still a new technology. Fenton, a master of understatement, was able to animate museum artefacts such as the bust of Homer with his great sensitivity for the effects of light and shadow and his skilful manipulation of negative and void space. Further, his skilfulness in handling the vagaries of the required chemicals produced a new perception of the object. Signed l.l. image, [incised glass plate negative] "R Fenton...". Not dated. Dreams and realities: Victorian works on paper , Sydney, 1993, 8.